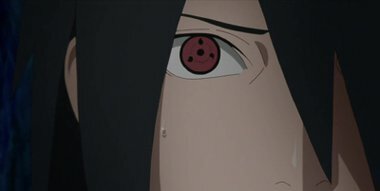 Sasuke sends a message to Naruto about a man possessing the Sharingan. Upon receiving the intel, Naruto rushes to meet with Sasuke. Meanwhile, Sarada, who has doubts about who her real mother is, joins Cho-Cho, who is about to set out on a journey to find her “real parents.” Upon learning that Naruto is on his way to meet Sasuke, they go after him. But danger looms when they come under attack.